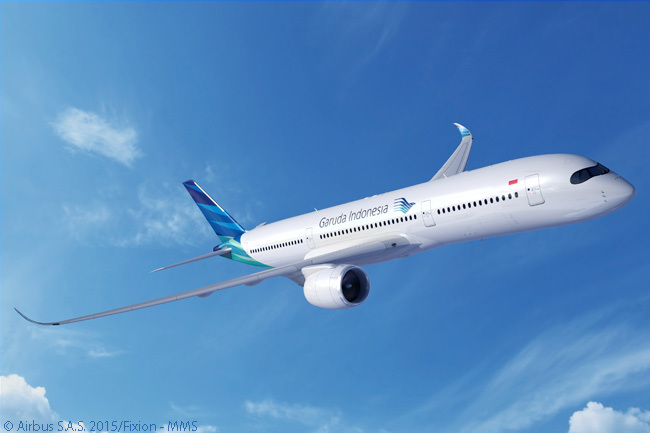 Garuda Indonesia has garnered the biggest headlines on the first day of the Paris Air Show 2015 by signing letters of intent for 30 Airbus A350 XWB widebodies, 30 Boeing 787-9s and up to 30 Boeing 737 MAX 8s. In addition to its June 15 announcements at the Paris Air Show 2015, Indonesia’s flag carrier also reconfirmed its intent to purchase 50 Boeing 737 MAX 8, a deal originally announced in October 2014. The airline currently operates more than 90 Boeing jets, including 737NGs, 777-300ERs and 747-400s. Garuda Indonesia has not yet specified the mix of Airbus A350 XWB models it will order, but says plans to use the aircraft to develop its medium-haul and long-haul networks, the aircraft offering the ability to fly non-stop from Jakarta or Bali to Europe. 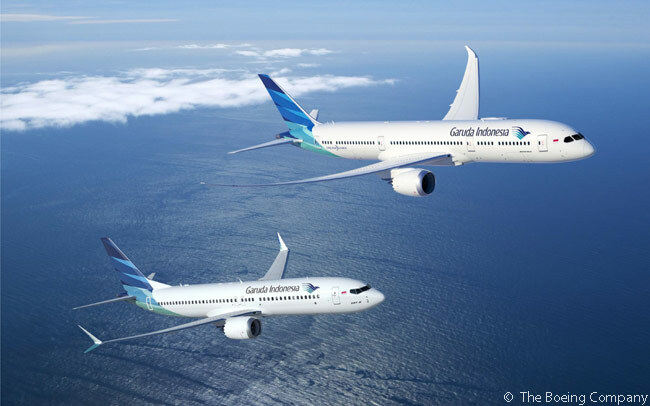 Boeing said it would work with Garuda Indonesia to finalize the order, at which time it will be posted to Boeing’s Orders & Deliveries website. According to Airbus, the A350 XWB has been especially successful in sales terms in the Asia-Pacific region, where airlines have ordered a total of 244 aircraft. This represents almost a third of the firm orders for 780 aircraft that the A350 XWB family has recorded to date worldwide, according to Airbus. Garuda Indonesia serves 76 destinations worldwide, operating nearly 600 flights a day with a fleet of 169 aircraft. The average age of the aircraft in its fleet averaging is less than five years old. According to Garuda Indonesia, its fleet should grow to around 185 aircraft this year.